More than half of the world's coffee species are at risk of vanishing in the wild because of climate change and deforestation, new research has found. He has recorded how a warming planet is making it harder to grow coffee in traditional coffee-producing regions, including Ethiopia, birthplace of the world’s most popular bean, arabica. He has mapped where farmers can grow coffee next: basically upcountry, where it’s cooler. He has gone searching for rare varieties in the wild. Now, in what is perhaps his most disheartening research, Davis has found that wild coffee, the dozens of varieties that once occurred under forest canopies on at least three continents, is at risk of vanishing forever. Among the world’s 124 coffee species, he and a team of scientists have concluded, 60 percent are at risk of extinction in the wild. Climate change and deforestation are to blame. Davis and his co-authors published their findings Wednesday in two separate papers, in Science Advances and Global Change Biology. Wild coffees can be preserved in seed banks or in nationally protected forests. Most are not. Davis’ inventory found that nearly half of all wild coffee species are not held in seed banks, and a third do not grow in national forests. To assess the risks faced by wild coffees, Davis and his colleagues applied a barometer developed by the International Union for Conservation of Nature, an international organization that assesses biodiversity risks. 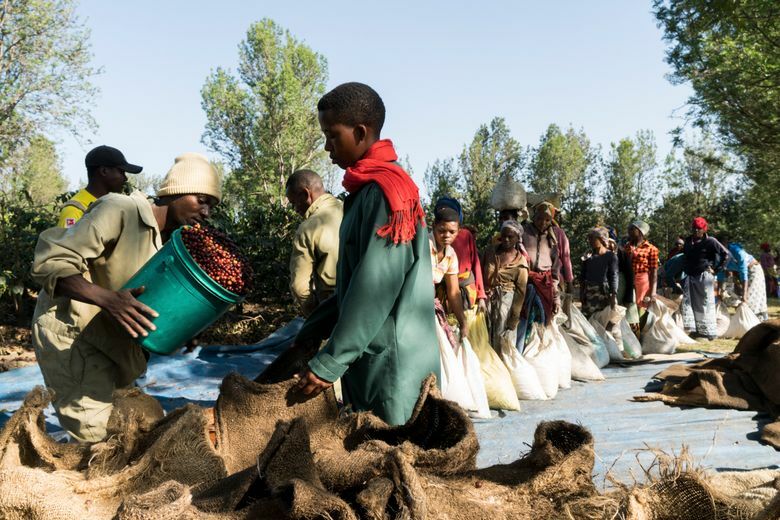 Using that index, commonly used to document risks to big mammals like elephants and rhinos, they found wild arabica, which mainly grows in the forests of Ethiopia, to be particularly vulnerable to the effects of climate change. For Davis, the loss of wild varieties is important not just for plant breeders, farmers and coffee drinkers. The loss of a species also means less food and less shelter in its ecosystem. The result, in his view, is a diminished Earth. “Our planet becomes less diverse, less interesting,” he said.